Real photo postcards taken by pet owners in the early 1900s sometimes provide wonderful glimpses of cats, dogs, and birds engaged in everyday behaviors without paying attention to the human being pointing that stupid black box in their direction. We get a sense of relationships and routines of pet care. Here’s a nice example. 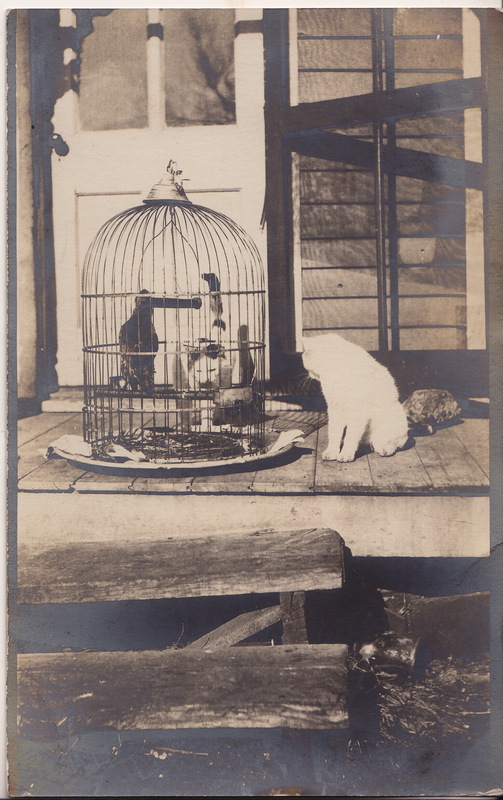 This postcard depicts a pair of feline siblings watching the family parrot, whose cage has been set out on what seems to be the back step to get some fresh air and sunshine. 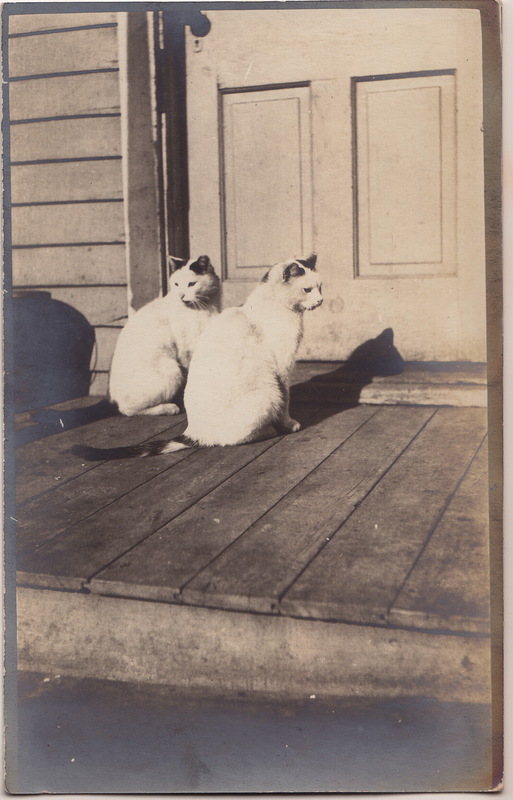 The postcard came into my collection with a second image, a portrait of the cats waiting at the door, perhaps to be let in or to be given their supper since the parrot was too well protected to allow anything but a little recreational birdwatching. Unfortunately, these postcards are not marked with names, dates or locations. From the marks on the back of the cards, they date from around 1920. Still, they provide a bit more information on the daily lives of pets in households a century ago.